Gives a sparkling effect to ceilings. 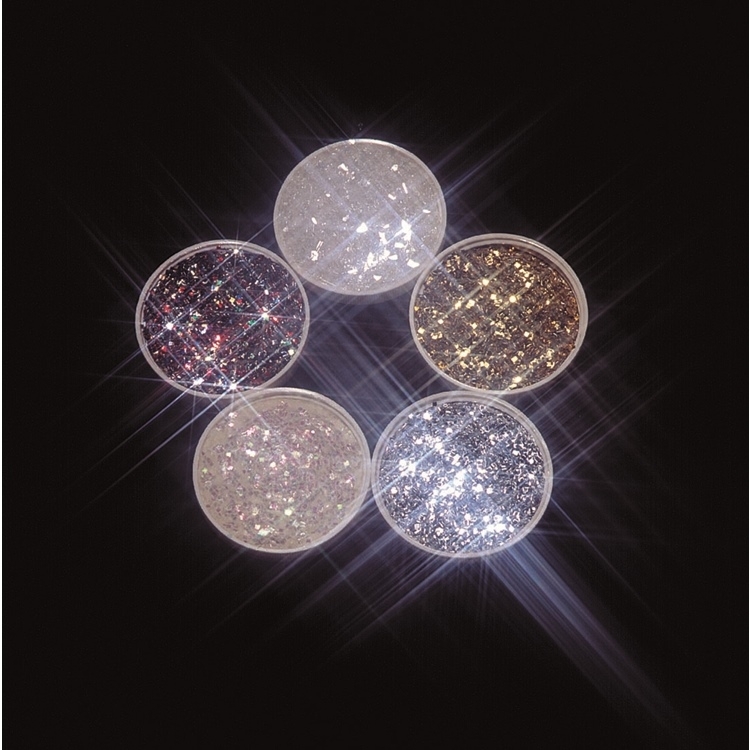 Glaschip glitter for light luster sparkle effect. The glitter is #20 in size, slightly larger than other glitter options. The glitter is applied by blowing it onto a wet surface of drywall texture. The glitter is fade and tarnish resistant for a long life. Not recommended for outside use. Bag contains 1 lb. of glitter. Apply the glitter to walls and ceilings with Kraft Tool's Glitter Gun (DC615) for best results. Proudly made in the USA.